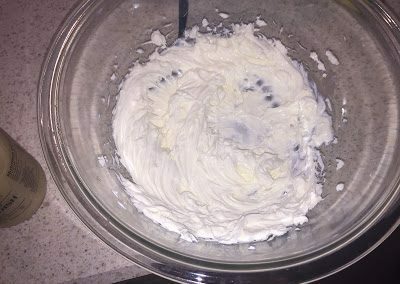 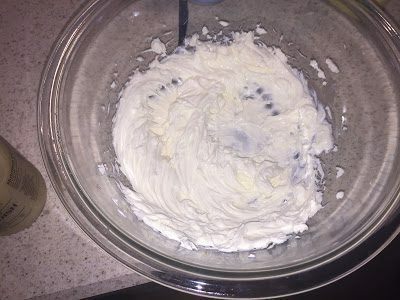 Cream the cheese in an electric mixer fitted with a paddle attachment until just smooth. 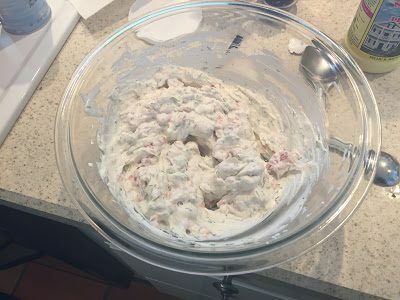 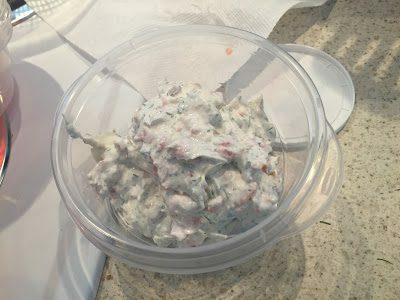 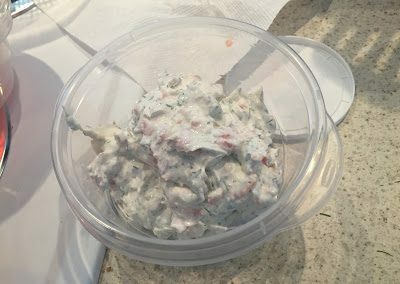 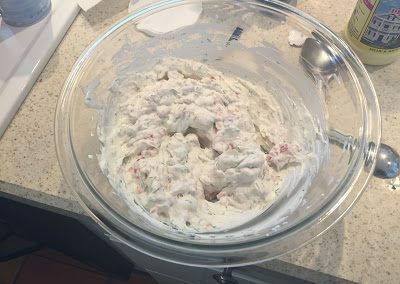 Add the sour cream, lemon juice, dill, horseradish, salt, and pepper, and mix. 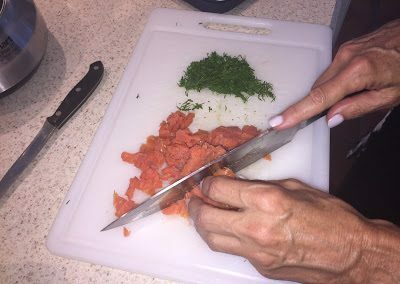 Mince the salmon. 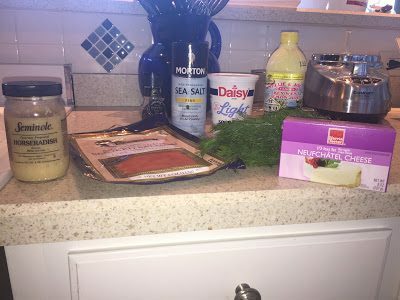 Add the smoked salmon and mix well. Chill and serve with crudites or crackers. 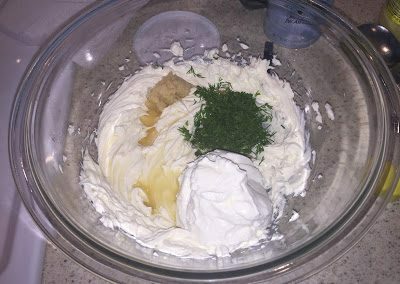 Add the sour cream, lemon juice, dill, horseradish, salt, and pepper, and mix. 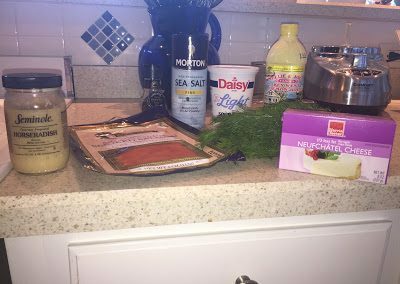 Add the smoked salmon and mix well. 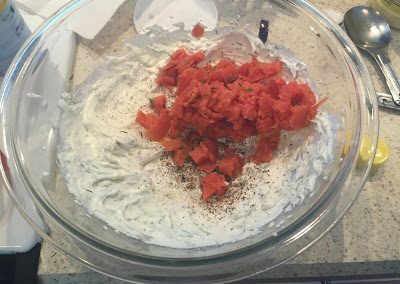 Chill and serve with crudites or crackers.